Moorfields charity walk from EyetoEye please sign up and help! Help raise money for Birdshot research ! We thought it would be fun to get a team together to do the annual Moorfields EyetoEye walk on Sunday March 12th 2017. 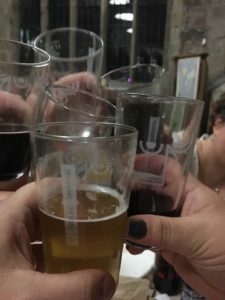 After all, there are a lot of birdshotters who get treated at Moorfields and we believe it is great to be able to collaborate with other charity group events, especially if it is going to help promote relevant research. Moorfield’s Eye Charity plans to have cake and coffee at the end and they are also going to have a live band and a bit of a celebration. But afterwards, we wondered if we might find a venue close by (pub or cafe??) and have a bit more of an informal meet-up if we feel like it. We’d love it if we can get 30 or 40 birdshotters walking (family and friends welcome) showing our support and enthusiasm for more research for birdshot. You can sign up online https://www.moorfieldseyecharity.org.uk/eye-eye or if you prefer, you can pick up a registration form in the hospital which can then be returned to their office in an attached Freepost envelope. If you can’t find these in the hospital, Gaby in the Moorfields Eye Charity office is the person to go and find. You may also see Gaby visiting the clinics, as part of her job is to go and meet patients. There is no minimum sponsorship requirement: just raise as much as you can. 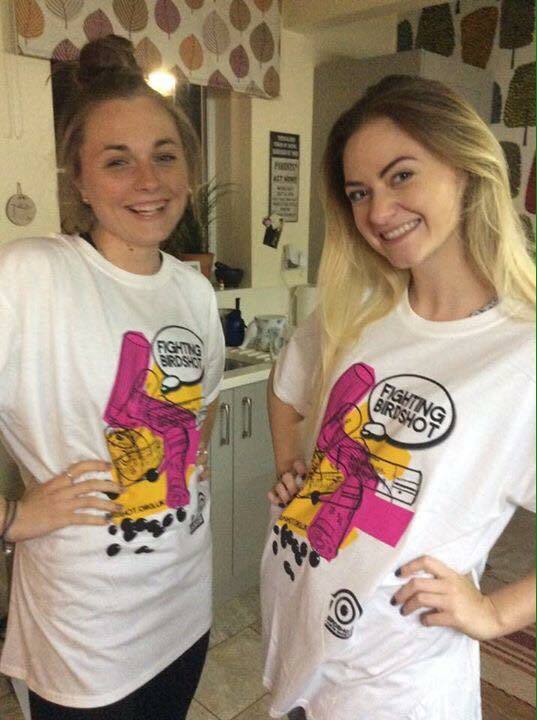 You also get a free T-shirt and goodies at the end, but we will supply BUS T-shirts for all our walkers. The times of the walk vary from 7.30am – 12 midday. I think we should go for a mid-morning time slot, eg, 11am, but I am open to suggestions. If you want to take part, please sign up as directed above, but also drop me a line to let BUS know. Here’s hoping for a sunny Sunday on 12th March! Clare Wood, a senior project manager based in Newcastle, knows from first-hand experience what living with Birdshot is like because, before her own diagnosis, her father had suffered from the same condition. Her diagnosis came as something of a shock as she was just 41 at the time, and also because Birdshot is not supposed to run in families. Clare is fortunate to be under the care of Mr Pandit at Newcastle Royal Infirmary, who looks after quite a number of Birdshot patients. She had been taking a break from treatment, but following a recent flare, she is currently on aggressive treatment to get it under control again. 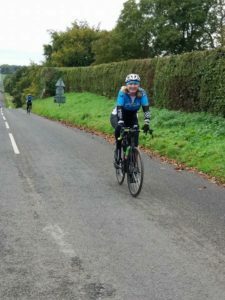 Naturally, BUS was delighted when Clare contacted us at the beginning of the year and said that her New Year’s resolution was to raise funds for Birdshot over the course of 2016. Clare’s plan is to try and organize a small fundraising event each month, and her daughter has also agreed to take part in the Great North Run this year to help with the fundraising. 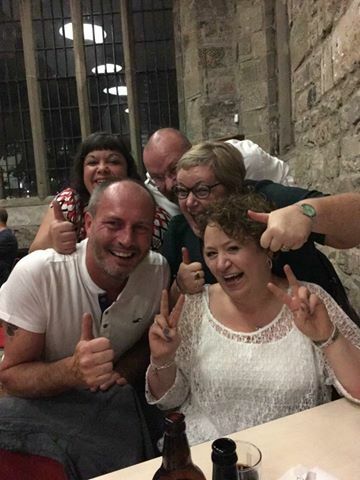 In January, she organised a ‘dress down day’ in her office and raised £70. In February, she is doing a rare or unusual food tasting for Rare Diseases Day on 29th February. Her daughter Ella has secured a place in the Great North Run, so we will be setting up her Just Giving page shortly. On Saturday 15th October 2016, as a grand finale to these fundraising activities, Claire is organising a micro-brewery beer festival. Clare has roped in her fellow Birdshotter Carly, who also lives in the Newcastle area and whom she met via the Birdshot Uveitis Society, to help with her fund-raising efforts. Carly is trying to secure raffle prizes for the beer festival from local businesses. Carly is also organising a work’s event of Rare Diseases day. These great fund-raising ideas are a wonderful initiative. 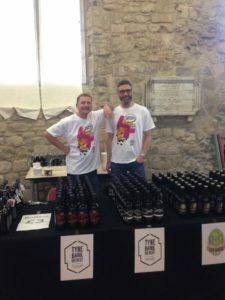 If Birdshotters in the North East area want to buy a ticket and go to the beer festival and enjoy the festivities, Clare has 175 to sell. They will be going on sale in July, so if you are interested in going, watch this space! She is also on the look-out for donations of prizes for the beer festival raffle. If anyone can help, they would be most welcome. In the first instance, please contact info@birdshot.org.uk and we will put Clare in touch with you. 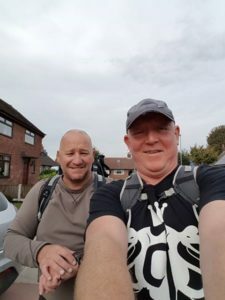 BUS member Barrie and his wife Debs, decided to organise their own small sponsored walk to raise money for Birdshot Uveitis Society and they roped in a few of their friends, to join them. 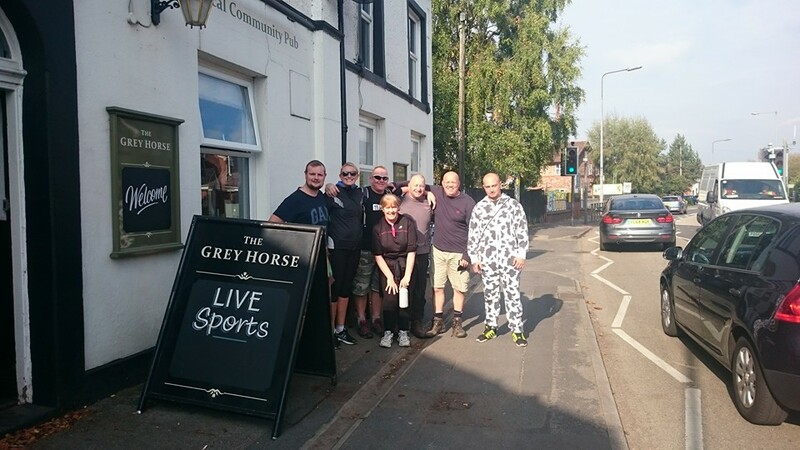 They walked from Rivington Barn in Bolton to the Grey Horse, Glazebury, Cheshire last Sunday 11th October. Below they are pictured setting off and also on reaching their final destination. Clearly they are a fit group. The two women set a cracking pace and their 25 km walk was smashed in only 4 hours! 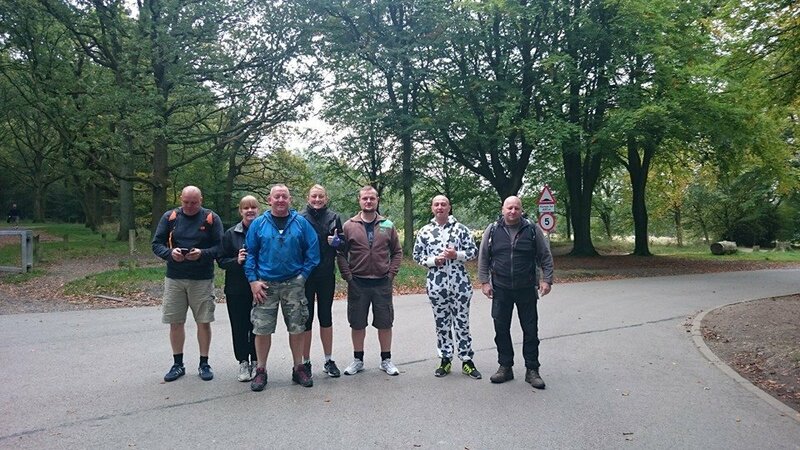 With grateful thanks to all who kindly sponsored this walk as well as those who actually did it. Congratulations! 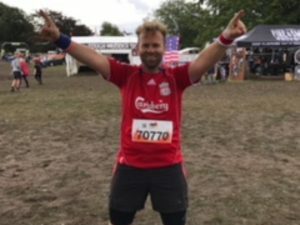 We are sure you all deserved a pint or two at the finishing line. On 3rd June 2015, we are holding our 3rd Annual Shoot at the Royal Berkshire Shooting Club. We are delignted to announce that once again Lord Archer has kindly agreed to be our auctioneer. The Shoot is already sold out, so we are well on our way and have set £55,000 as an ambitious target to beat! If anyone would like to offer attractive auction prizes for Lord Archer to sell off, we’d be delighted to hear from you with your ideas. 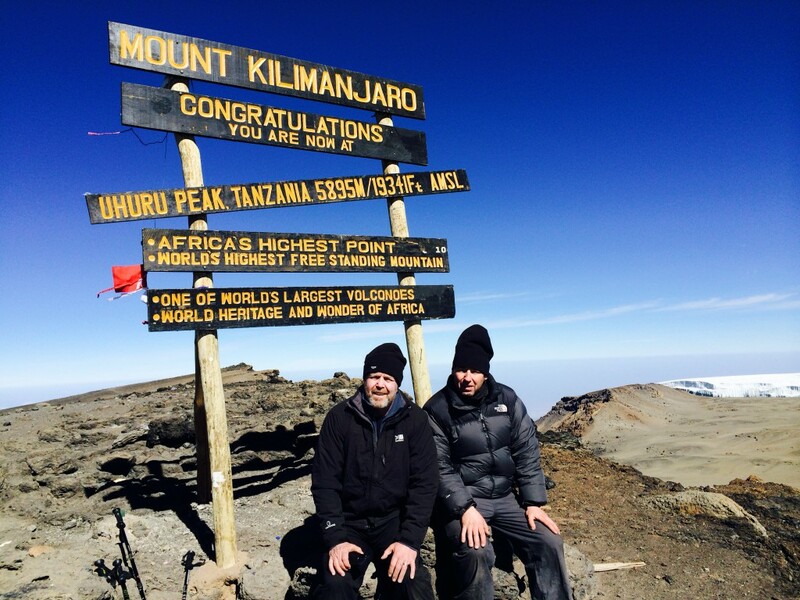 The operations director and senior contracts manager from John F Hunt have just come back from Tanzania having achieved a midlife objective that they had set themselves earlier last year, to scale Kilimanjaro the highest mountain in Africa, and highest freestanding mountain in the world. They have also achieved their magnificent object of raising circa £20,000 for research into Birdshot. The plan was hatched many months ago and the first we heard about it was an email from Charity Challenge, the organisation who organised their trip, telling us of Bill and Martin’s plans. Bill and Martin know something of the problems that Birdshot can bring because their company’s MD just happens to have Birdshot. “The trek began at the Rongai route entrance of the Kilimanjaro National Park. Our group, which consisted of 21, equally stupid… I mean intrepid trekkers, made our way over the next 4hrs at a rather pedestrian pace set by the porters to the Myers Camp Site at 2760 mtrs above sea level. “This is going to be easy” we thought! The night was spent camping under the African night sky which was beautifully illuminated by the seemingly endless number of stars. Fantastic. Unfortunately sleep was not quite as fantastic as it seemed it would be as our tents and mats that had previously been set up by the porters had been placed on top of all the rocks and stones that they could find! and I would say that 2 hrs sleep max was all that was had. The next day saw us rise at 6am to calls of “washy washy”?? The porters bring round a small bowl of warmish water for each person to wash in. Well, this is where reality hit home. This isn’t going to be a 5 star lavish experience and any dignity you may have wanted to reserve soon goes out the window in the course of trying to keep as clean as possible! Enough said. Breakfast is served at 7am and consists of porridge, toast, eggs and more porridge, plus tea & coffee. Following breakfast we then set off again and over the next two days, trekking for around 8-10 hrs a day we pass through Kikelewa Camp (3600 mtrs) and onto Tin Hut Camp (4200 mtrs), which is at the base of Mawensi mountain. This camp is a proper dust bowl and is situated in what can only be described as a desert type landscape, very barren and quite bleak. However, the view of the Mawensi peak above is cracking and quite awe inspiring. Upon arrival at Tin Hut Camp, we take lunch, as we do everyday at around 1-2pm. This is a hot lunch and is generally a rice or pasta dish and in all honesty considering where you are the meals are not bad. Following lunch we go for an “acclimatisation climb” for 2hrs which takes us to a ridge midway up Mawensi and to an altitude of 4420mtrs. By now most of the party are experiencing some form of altitude related sickness. This materialises in the form of headaches, nausea, dizziness and breathlessness. A number, if not the vast majority of the trekkers, myself and Martin excluded however, have opted to take Diamox which is medication which helps overcome the effects of altitude. We decide to tough it out as we suffer from “real man syndrome”, which probably means we have cut our nose off to spite our face! We stay at the camp again that night, which is the only time you spend two nights in one camp and the following morning we head off on another acclimatisation trek, this time to the snow capped ridges of Mawensi, which takes us to an altitude of 4700mtrs. At this altitude you definitely notice how out of breath you quickly become, particularly if you try and move too fast. The porters, from day 1, have repeated the words “poly poly”, which mean “slowly slowly” and I now appreciate why they purposely set the pedestrian pace to start with, which is in effect to get you used to it for later and the summit climb. The following morning we head off on a 4hrs trek across what they call “The Saddle”, which is the flat stretch of land between the base of Mawensi and the base of Kilimanjaro. This is approximately a 9km walk which is across open, desert land and which takes us to Kibo Camp from where we will make our summit attempt later that evening. Well, this is it. After dinner we are told to go to bed early and get a couple of hours sleep as we will be woken…….yeah right as if you can go to sleep, at 11am to prepare for the summit climb at midnight. 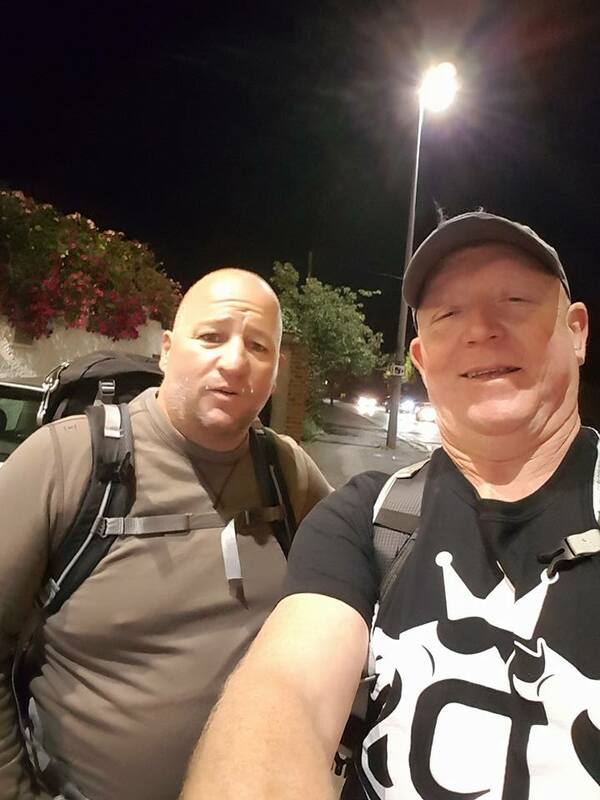 On Wed 11th February at midnight and following a quite serious briefing from our trek guide we finally began to climb/trek Kilimanjaro. You head off in a line and slowly zig zag up the mountain. In all honesty all you have to do is get yourself “in the zone” and simply focus on the pair of boots in front of you and follow on relentlessly for what seems an age. At one point I felt particularly dizzy and seemed to hallucinate also for a short while but you slap yourself out of this and continue. Martin I know found that his breathing was particularly laboured and had to dig deep to maintain progress. Many of the others in our party were struggling to cope with various symptoms of altitude sickness and the neat line of trekkers soon became separated and distanced from one another as the individuals pace slowed to allow them to cope or not as the case may be. The porters, guide and doctor at this point were superb in recognising people having difficulties and ensured that they were encouraged to rest, eat and drink accordingly, to allow them to continue…hopefully. Around 6am, mid way up Kilimanjaro the night sky changed and deep orange peaked over the horizon as the sun rose. This lifted the spirits no end and once the sun rose clear and the day brightened and blossomed the view across Tanzania and the neighbouring plains of Kenya was awesome and unforgettable. Eventually we reached Gillians Point (5685 mtrs), which is known as the false summit, around 12 hrs after setting off. However, we were then informed that the true summit, Uhuru Point (5895 mtrs), was further around the rim of the crater and another 210 mtrs higher in altitude. This actually only looked a very short distance but proved to be a further 1 ½ hrs away and which was bloody tough going due to the reduced oxygen levels! This literally was take a laboured step and take a breath, take a laboured step and take a breath. Poly Poly !! When Martin and I got there we were pretty knackered but ecstatic to have reached our goal. It’s a fantastic, satisfying and a quite overwhelming and even emotional feeling. Attached is a photo of Martin and I at the summit, this is the shot we wanted and which we had trained for since April 2014 when the trek was originally organised. After spending only probably 15 minutes at Uhuru Point we began the long decent back to Kibo Camp. All in all from the time we started the climb to the time we got back to camp it took 20hrs. Quite a mission. To cap it all, once back at Kibo, we were told that we then had to trek back across the saddle for another 4hrs to another camp site where we would spend the night, prior to one more 18k trek the next day back to the Rongai Gate and a well deserved couple of beers ! That’s one off the bucket list….thankfully. What’s next, hmmm. I would like to take the opportunity at this point on behalf of Martin and I and indeed the Birdshot Uveitis charity to thank again all who have kindly dug deep and sponsored the trek. We currently, without taking into account the gift aid, have raised £18,860.00 but have another 3k approx pledged and therefore expect to exceed the £20.000 mark before the Just Giving Page closes in two weeks time. This is absolutely brilliant, well done everybody.